All OAK HILLS RANCH ESTATES homes currently listed for sale in San Antonio as of 04/20/2019 are shown below. You can change the search criteria at any time by pressing the 'Change Search' button below. 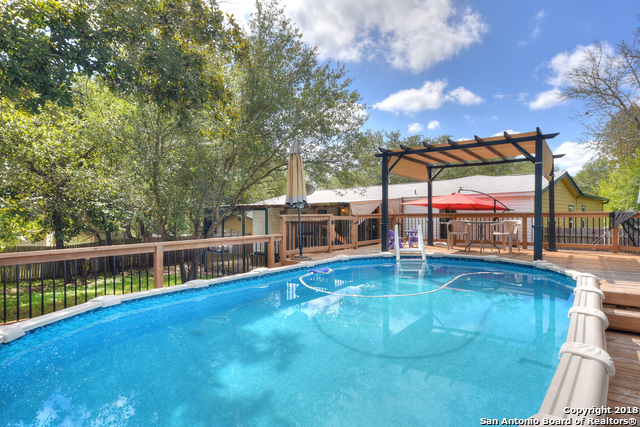 "Take a look at this awesome listing that is truly an entertainers dream come true. This beautiful home features a very spacious open floor plan consisting of 5 bedrooms, 3 baths, 2384 sq ft, on a 1.33 acre lot. The outdoors feature a great deck that goes completely around the swimming pool and plenty of sitting areas, perfect for those family barbecues."